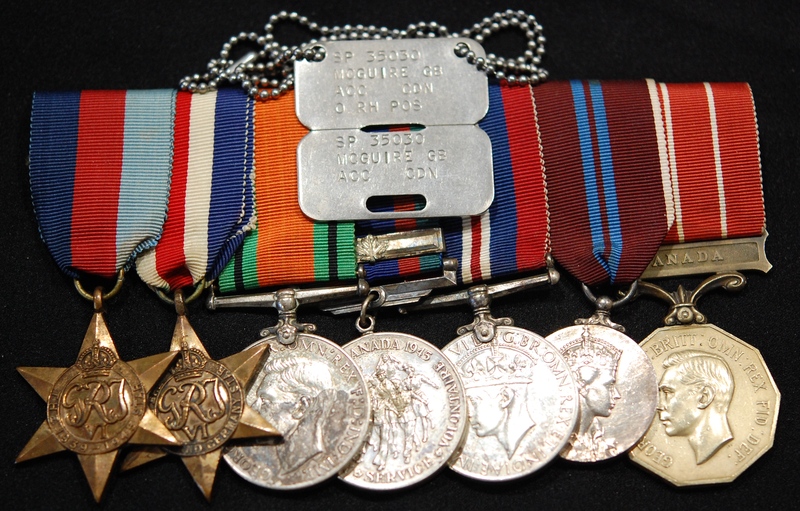 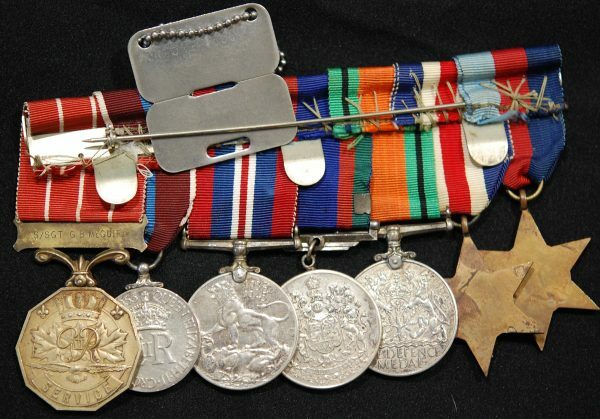 1939/45 Star; France and Germany Star; Defence medal; Canadian Volunteer Service medal and overseas clasp; 39-45 War medal (these last three in silver); 1953 Coronation medal; Canadian Forces Decoration (CD) George VI bar Canada (S/Sgt G.B. 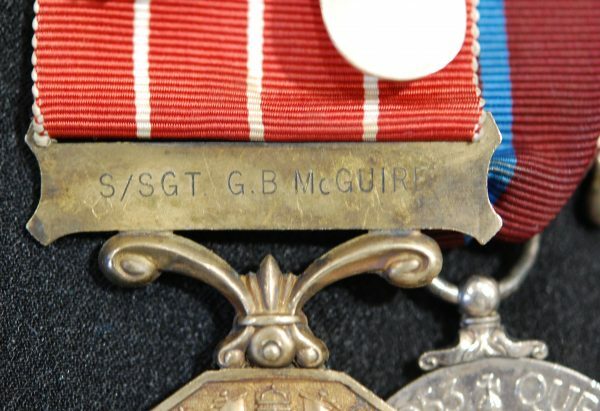 McGuire). With his original dog tags. 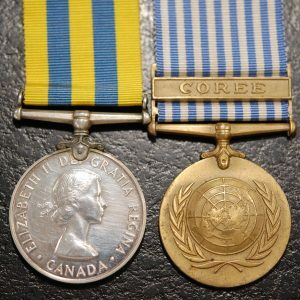 Confirmed for service with the Royal Canadian Ordnance Corps. 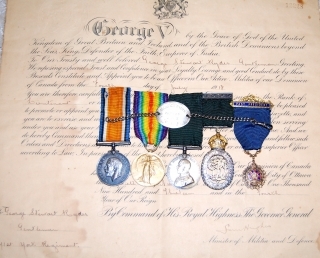 Medals swing mounted, as worn and contained in medal box/case. 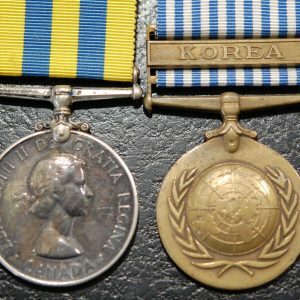 Obtained directly from the descendants. 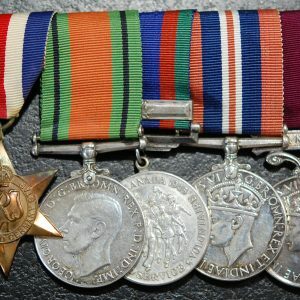 near Extremely Fine.